NOW REGISTERING SUMMER CAMP 2019! 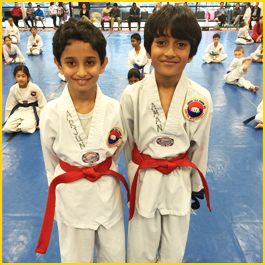 Our Tae Kwon Do program trains your body and your mind. 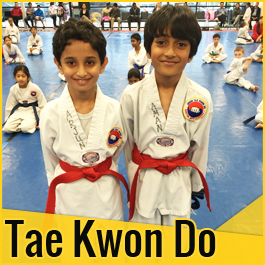 Tae Kwon Do philosophy emphasizes moral development and embraces the trust and respect that builds strong families and communities. At UTKD we strive to create an environment which fosters strong character and develops self-confidence in students of all ages. Help your child develop discipline and self-confidence. As well as promoting fitness, Tae Kwon Do teaches children the important values of respect, leadership, perseverance, and citizenship. 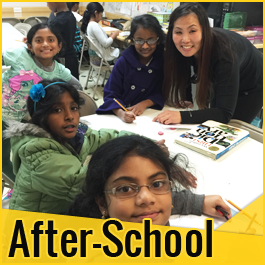 Our After-School Program and Summer Camp Program are fun, character-building, productive alternative to traditional day care! Union Tae Kwon Do ("UTKD") was established in South Riding, VA in 1999. We are a family-owned and family-operated business. We were the first Tae Kwon Do school to open in South Riding 17 years ago. Our owners and operators have a combined 50 years of Tae Kwon Do training and are certified black belts under Kukkiwon, World Taekwondo Headquarters. Our Senior Master Instructor has won multiple state, national, and international titles in Forms, Breaking, and Sparring. Here at UTKD, we realize that each student has different needs and abilities, and we make every effort to know our students as individuals and create a personalized experience for each one and each family. For many of our students, UTKD becomes a second home, and we strive to create a comfortable learning environment for students of every ability. It is in this type of environment that students are able to work their hardest and do their best, becoming the best practitioner and person that they can possibly be. These reasons are why we call ourselves the UTKD Family! We offer Tae Kwon Do lessons for children, teens, and adults from age five (5) and up. Our After-School Program tracks the Loudoun County Public Schools calendar, with full-day camps during school breaks and our full-day Summer Camp during the summer vacation.